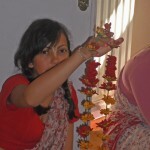 This summer holidays has seen the return of our very dedicated younger devotees to the temple for more seva activities. 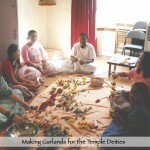 Lavanya Prabha, Nadiarani, Dhanistha, Premanandini, Ganga, Chaitanya, Anu Krishna and Balaram have all shown us how to surrender to Srila Gurudev and give their energy and time for the service of Sri Sri Guru and Gauranga. All up for Mangal Arati, joining for the morning program: kirttans and Scripture readings, garland making, cleaning the Math, assisting in the kitchen, chanting japa, mrdanga classes and more, then after lunch they go to the park, woods, swimming or an outing to museums, cinema, etc., then returning for the evening program and class. 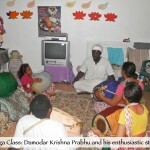 On Tuesday evenings Sripad Nyasi Maharaj gives a wonderful Bhagavad-gita class which they all love. 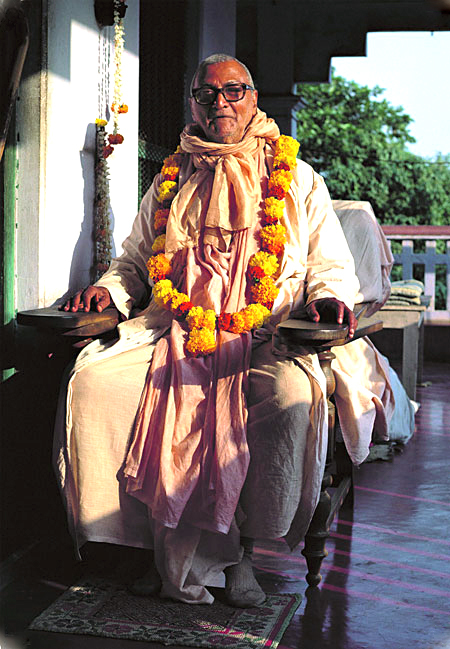 Srila Govinda Maharaj’s sweet mercy—ki jaya! 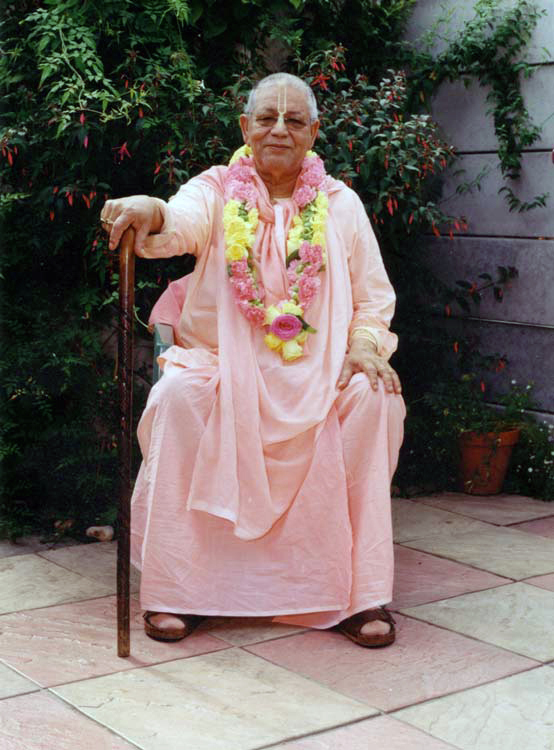 Srila Guru Maharaj’s sweet seva—ki jaya! 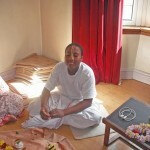 I had the privilege of staying at the London Math for about a month recently, and I must say that the happy devotional mood of the young devotees there is very pleasing to see and gives me a lot of confidence in the future success of Srila Guru Maharaj’s Mission. 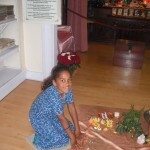 Seeing them reinforced for me the importance of raising children on Krishna Consciousness. Beneath the (occasionally) childish antics and play there is a strong current of surrendered service. I really feel like these are Gurudev’s children, that they are offering themselves to his lotus feet. And I feel great joy and hope to know that they will be distributing his mercy to the world and that we will all have the chance to serve them in their efforts to please Sri Guru and Sri Gauranga. I look forward to their good association again soon. 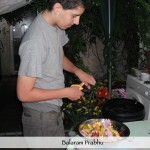 Hard-working and Funny Young SCSMath Devotees ki – JAY! 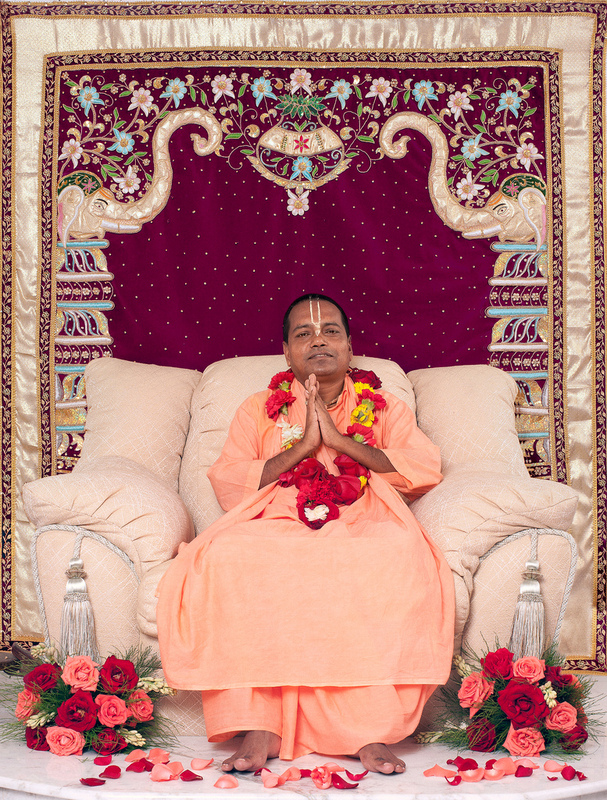 I am so happy to hear and see the pictures of our future generation of devotees, so enthusiastically rendering service to Sri Guru and Gauranga and giving inspiration to many. Srila Gurudeva is very happy and impressed to hear the news. 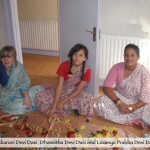 All Glories to all the young devotees off the London Math- KI JAY!! !